Neil Patrick Harris is set to emcee the 65th Primetime Emmy Awards® on Sept. 22 on CBS, marking the renowned entertainer's second time hosting the Primetime Emmys. Neil Patrick Harris has been named Host and Producer of the 65th Primetime Emmy® Awards, his second time at the helm of television's biggest night. 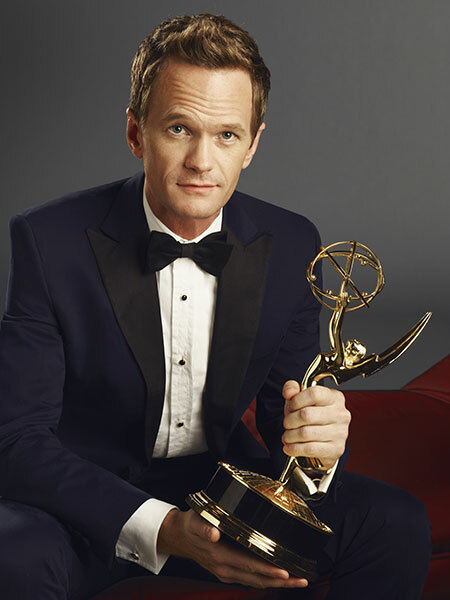 "I couldn't be more honored and excited to be hosting this year's Emmy Awards," said Neil Patrick Harris. "And what perfect timing — I'll just do the exact same script I'm about to use for the Tonys. 'And the Emmy for Best Revival of a Musical goes to "Breaking Bad!"' See, told you it works." The 2013 Primetime Emmys broadcast will air live from the Nokia Theater L.A. Live in Los Angeles on Sunday, Sept. 22, on CBS. Multitalented television, film and stage star Harris emceed the 2009 Primetime Emmys on CBS to critical acclaim. "Neil is the quintessential host — engaging, entertaining, and a true showman — with a passion for celebrating the medium we all love. We're thrilled for him to return for CBS's broadcast of the Emmy Awards," said Nina Tassler, President, CBS Entertainment. "Four years ago, Neil was an amazing Emmy host and we are excited to have him back," said Television Academy Chairman and CEO Bruce Rosenblum. "Neil is an extremely gifted and inventive performer, and we look forward to seeing what he has in store this year." Ken Ehrlich, Executive Producer of the 65th Primetime Emmy Awards, said that Harris is one of the most versatile artists working in television today and looks forward to collaborating with the How I Met Your Mother star again. "It's going to be great fun to utilize his acting, hosting, musical and producing talents on the Emmys, an event designed to showcase all of the elements that combine to make great television," Ehrlich said. "We've had the pleasure of working together on other award shows in the past, and to have him bring all of that versatility to this year's Emmy telecast again is very exciting for all of us working on the production." Three-time Primetime Emmy winner Neil Patrick Harris currently stars as "Barney Stinson" on CBS comedy, How I Met Your Mother. He took home gold statuettes for his guest-starring role on Glee and for his turns as host of both the 63rd and 65th Annual Tony Awards. Harris returns to the Tonys as host this year on June 9. Neil poses with the coveted Emmy statuette. The complete press release is available in the Television Academy Media Center.